MetroMax Q? 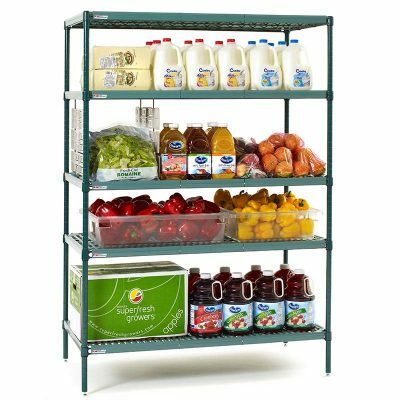 shelving offers removable polymer shelf mats with epoxy coated frames, a more durable and cleanable alternative to traditional epoxy coated wire shelving. Shelf frames and epoxy coated posts carry a 15 year warranty against corrosion. Optional polymer posts offer a lifetime warranty against corrosion. 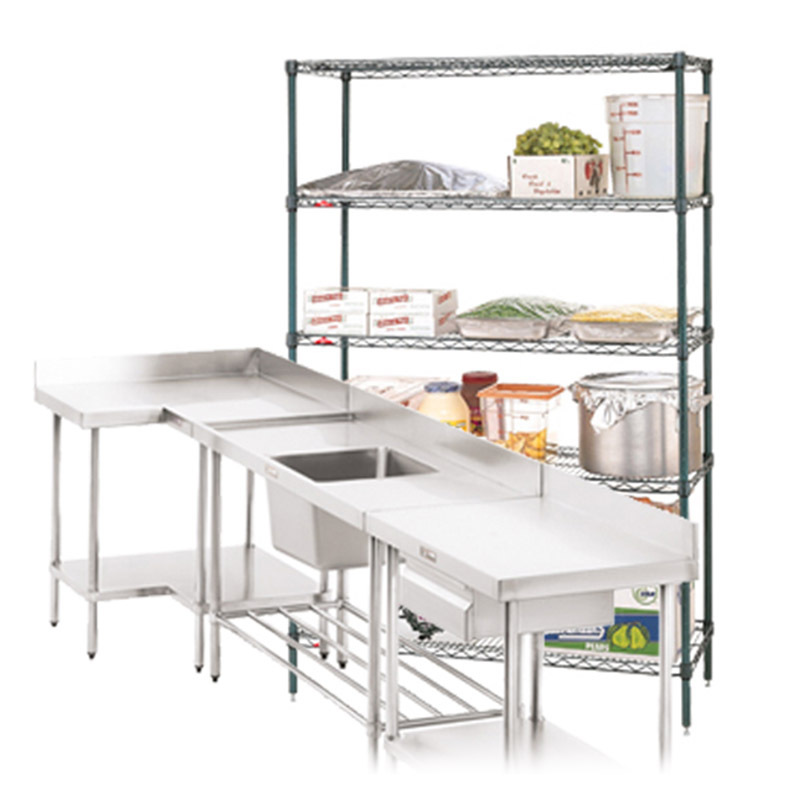 Ideal for general wet or humid environments, walk-in coolers, and sterile areas. Stationary, mobile, and high density storage options. Quick adjust shelves allow units to be easily reconfigured without tools on 1? (25mm) increments to maximize storage space. Vented mats allow air and light penetration and are easily removable for washing by hand or dish machines. Reinforced MetroMax I Dunnage shelves offered increased weight capacity. Shelves up to 48? (1219mm) long: 1200lbs. (544kg) evenly distributed. 60? (1524mm) long shelves: 900lbs. (408kg) evenly distributed.